While I am very sure much has been written to explore the ‘Six Principles of Influence and Persuasion’ (by Dr. Robert Cialdini) in practice: to criticise and debunk their simple or superficial nature, I have to admit that I rather like them for that very reason: their simplicity and because they appeal to my sense of ‘ah ha, that’s one of the reasons I fall for that ploy every time’! In my training workshops on behavioural change around building effective relationships at work and in learning how to become more influential to get more of the right things done in the right way, I explore Cialdini’s principles and candidates are always intrigued. So often, in my career in human resource management, training and development, I was given feedback like: ‘you need to be more influential: you need to influence a wider group of people, you need to get more back-up for your ideas by influencing better’. I am so sorry I did not discover Cialdini sonner! So, here’s the advice, for those working in organisations who have to get agreement and buy-in for their ideas, plans and projects; who have to do that difficult thing of influencing without direct authority, in a world where everyone is very busy and only wants to get out into the sunshine. Principle One: Reciprocity. We feel obliged to return favours: one good turn deserves another. It’s just a simple fact of life. The secret is to be the first to give and choose the person to whom you give wisely. It sounds a bit ‘calculating’ but actually we do this naturally every day in lots of subtle ways e.g., I help you with that spreadsheet and then a few weeks later I feel totally okay about going back to you to ask for your support in a meeting. Principle Two: Commitment (and Consistency). We like to be consistent and to honour our commitments. A brilliant example of this in practice was given to me only yesterday in one of my training workshops. The candidate said that he wanted to influence someone on his team to take on more responsibility and to consider taking on a management role. The individual was reluctant to do so, and therefore required some persuading. What he did was give the individual a ‘taster’ first to get some initial up-front commitment. He gave them a trial in the role, with no obligation to continue afterwards. At the end of the trial period they took up the offer to continue in the role. Ideally, an early commitment needs to be in writing to secure the commitment completely. Principle Three: Social Proof (or consensus). 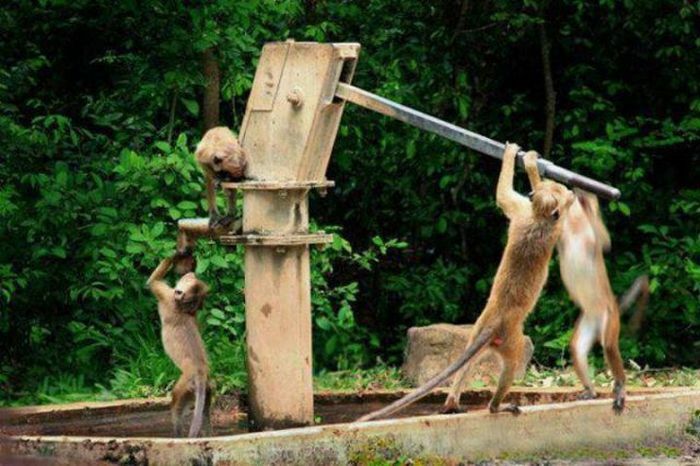 We will do what others are doing, especially if they are similar to us. For example, we’re more likely to work late if others in our team are doing the same and we are more likely to do this if we feel uncertain e.g., maybe we are newly hired. In my role as a Trainer and Coach within the organisational setting I spent time creating an interest in my projects with people who influenced others: it could be a Senior Operator whom other Operators respected and then highlighting the number of people who were happy with the process already, people similar to the audience I was targeting, using testimonials and case studies. Principle Four: Liking. We are attracted to people we like. Taking time to build rapport, showing an interest at a personal level and sharing personal stories, all work in our favour when influencing others and bringing them towards our ideas. Developing your emotional intelligence (EQi) and active listening ability, will increase your influencing power especially when using this principle. We can all recall the many times at work when we were really attracted to a senior manager and wanted instinctively to follow them, just because they had shared some personal stories with us and revealed to us their humanity and vulnerability. Principle Five: Authority. We feel a sense of duty or obligation towards authority. We do what our manager asks of us; we comply with the health and safety rules when the Company Doctor explains how breaking the rules can result in personal injury (especially if they wear a white coat!). We are susceptible to the ‘trappings’ of authority, and that is why I always used my qualifications after my name to increase my authority in the field of HR/Training and in one company I worked, we were encouraged to display our certificates on the wall behind the desk: it works for Doctors, Dentists and other Practitioners in the health area in particular. You can also use the authority of others to influence and once I agreed a plan with the Managing Director, I used their authority to help get support for my ideas with other people in the organisation. Principle Six: Scarcity. We are attracted to things and services when we think they are scare or will become scarce. You can use this principle at work by emphasising the urgent important nature of your project and the possible consequences should your ideas not be taken up on time. For example, this is an effective principle to use in organisations with ethical, environmental, quality or safety regulations, if you can sit your project well within the parameters of compliance. The scarcity principle can also be used where there are bottom-line customers who are affected directly by your work. There are always ‘terms and conditions’ of use so here they are: the 6 principles are to be used wisely and ethically to the benefit of everyone. Anne Marie Crowley, based in Cork, is a free-lance Coach and Trainer in the field of behavioural change for individuals and business. 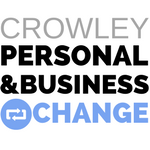 Anne Marie Crowley is the founder of Crowley Personal and Business Change.